A little backstory....I've been collecting pins for almost 20 years now. 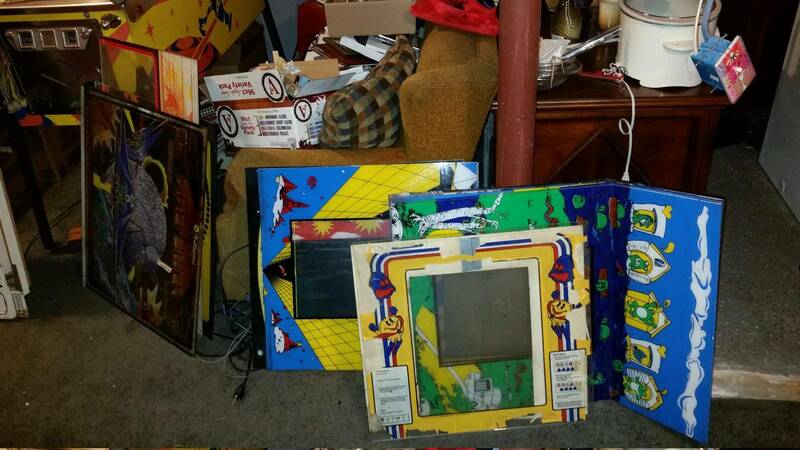 And in that time I've never attended an arcade/vending auction. 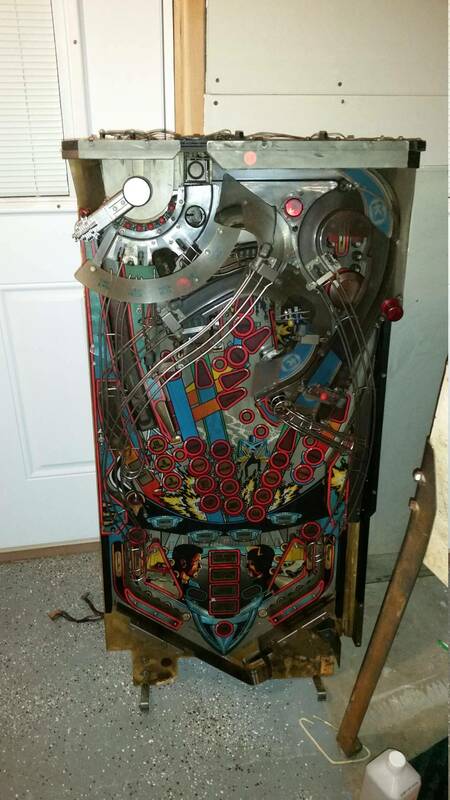 Thanks to an awesome fellow pinsider, I heard about an auction about an hour away from me yesterday and I said, "what the heck...you've got nothing to lose, go check it out." Boy am I glad I did. 1.) 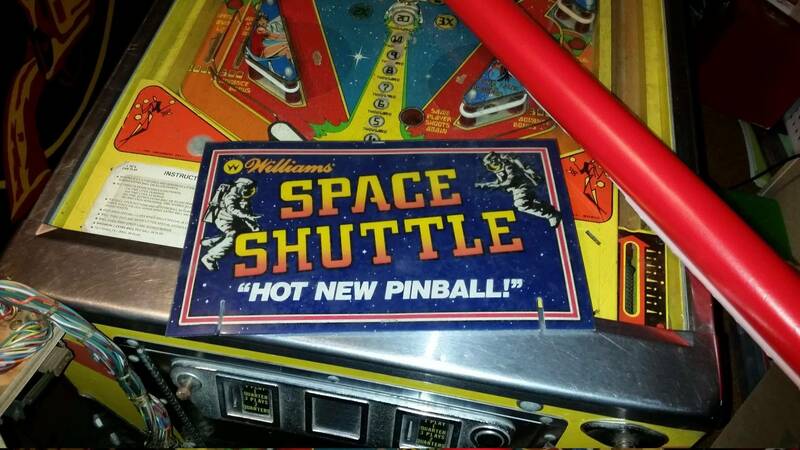 Pinball people are just awesome people. 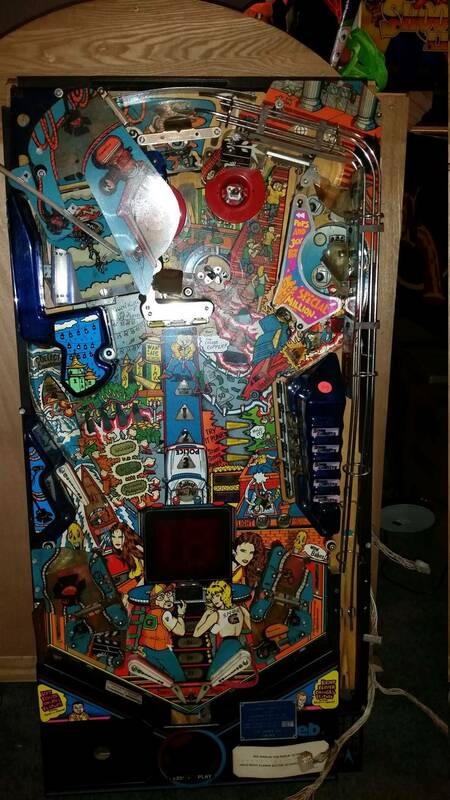 Got to meet a bunch of fellow pinheads (not sure of pinside handles for everyone but it was awesome to talk shop with Steve Chahanovich of Killingly Pinball Company, John Bateman from Spring Lake Aracde, his partner in crime for the day Ed "I never got your last name, sorry" and another fellow pinsider Marty.) Even though I was bidding against you guys and I could tell we wanted a lot of the same things I think we all went home happy. 2.) Old operators hoard everything. Like seriously I think there was a lot of like 50 coin doors alone. And another lot that looked like about 25-50 video conversion kits. 3.) If you are willing to dig and poke around you can find great things dirt cheap. My day started with scoring a topper for Space Shuttle for $5, simply because I noticed it stapled to the ops wall and asked "is that up for bid?" I'll let my pictures do the talking on the rest of my haul. 4.) Why was I scared of auctions? I went in with visions of me scratching my nose and accidentally bidding on things. Or overpaying for stuff that might be worthless. In the end, I spent less than I would on a single machine, got a whole ton of cool stuff. All in all, a great day. I'm glad I took the leap. Nice haul. 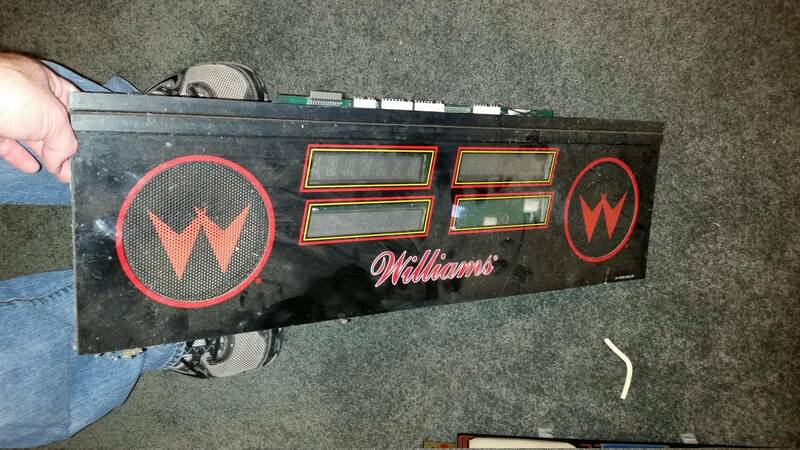 If you decide to part out that demo man playfeild let me know if could use a few parts. 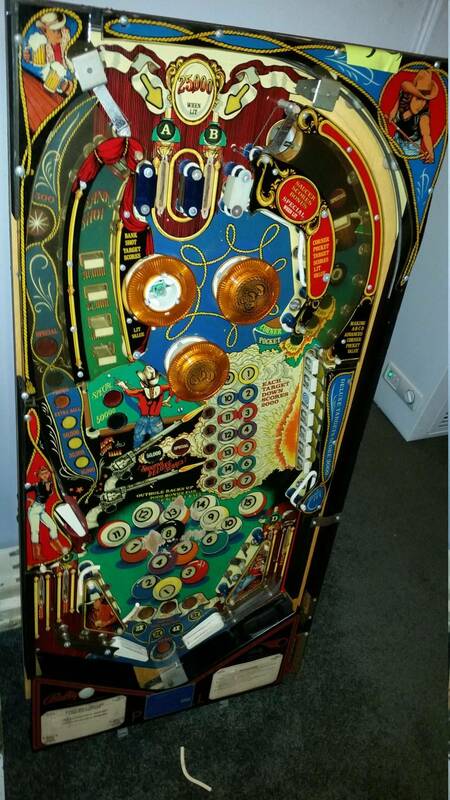 What did that Demo man playfield cost you? Let's just say less than I thought it would. I think Demo Man went for less than I thought it would because it looks like the game must have been in a fire. 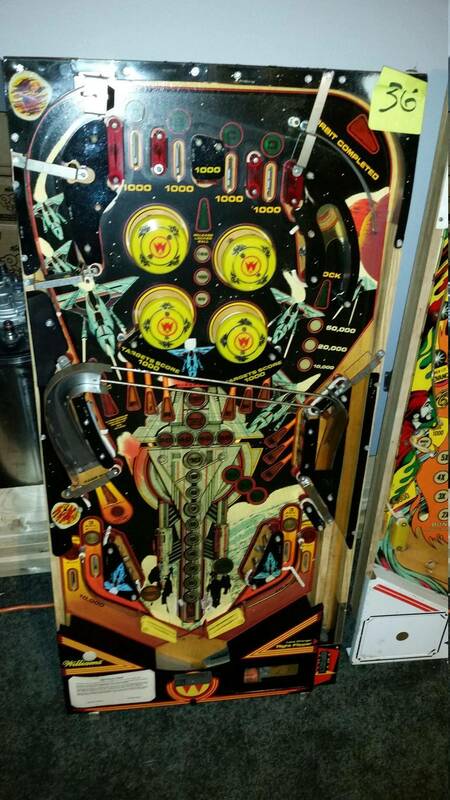 Playfield is covered in black soot. Congrats and happy to hear you had a great experience at the auction! Thanks! I'd definitely recommend checking one out if anyone had the chance. Without knowing what you paid for the items you got, including the bidder's fees and whatever additional costs were added, it's hard to say if your auction experience was a good one or not. It looks like you bought a bunch of populated playfields rather than full games so I'm guessing you did well. As you said, it's amazing what operator's will keep and if they're things you needed then that's even better. Glad your auction experience was a good one. Thanks. 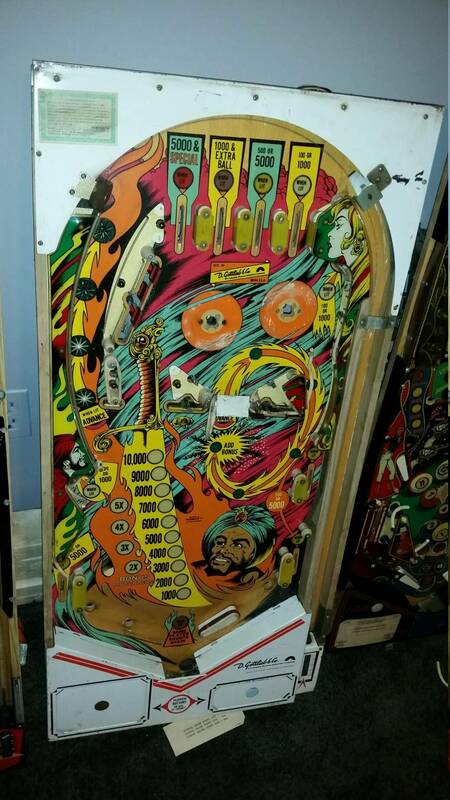 Considering I went in not knowing what to expect, I didnt spend a whole lot, came home with great parts and some trade bait, got myself a jukebox dirt cheap (always wanted one) and met a bunch of great pinball people. Well worth it in my opinion. If anyone actually needs any of those playfields to complete a game let me know. I'm all about saving games when I can and I love trading in general. I was planning on going to that auction but woke up that morning to strong winds and chilly temps....laid in bed contemplating for half an hour then said screw it, I have enough junk I'm trying to get rid of now as it is...so I skipped it.. Glad I did as we would have been bidding on all the same things. Nice grabs! What I find surprising is that you've been collecting for 20 years and never attended an auction. 20 years ago, the auction was pretty much the only place to get games! Either that or talking directly to operators, whom I met at auctions. So I'd be curious to know how you collected without them! Were the items broken up into reasonable size lots/groupings? The problem I have had over the years at auctions in general is that anything that would be considered a "part" is often grouped with a bunch of other parts that I don't want. Sometimes it works out and I can find people at the auction who will buy the other stuff from me so that I recoup most of my money, but I often don't bid because I don't want to be stuck with a bunch of items that I have no interest in owning. 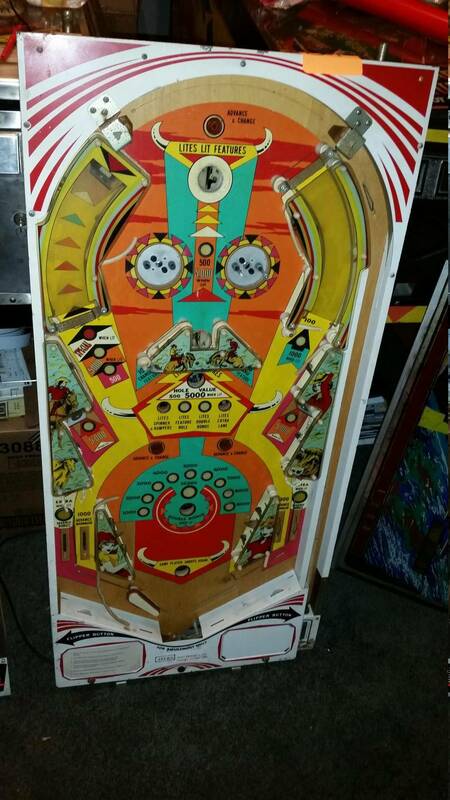 How do you find out where pinball auctions are? I would love to go to one one day. 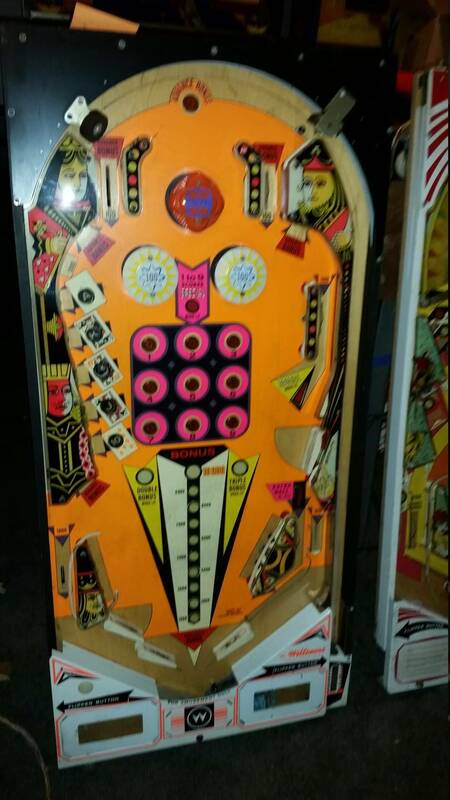 The only one I ever see advertised is Winston/Salem one and that's way too far..
Playfields were sold individually, the two complete pins were sold individually as we're video games, jukeboxes, shuffle bowlers, etc. Some things were grouped into lots, like coindoors, legs and lockdown bars, etc. This was a rare complete sell off of a former operator. Not like a big regional auction. I asked the auctioneer, it was the first one like this he's done in 25+ years of running auctions. 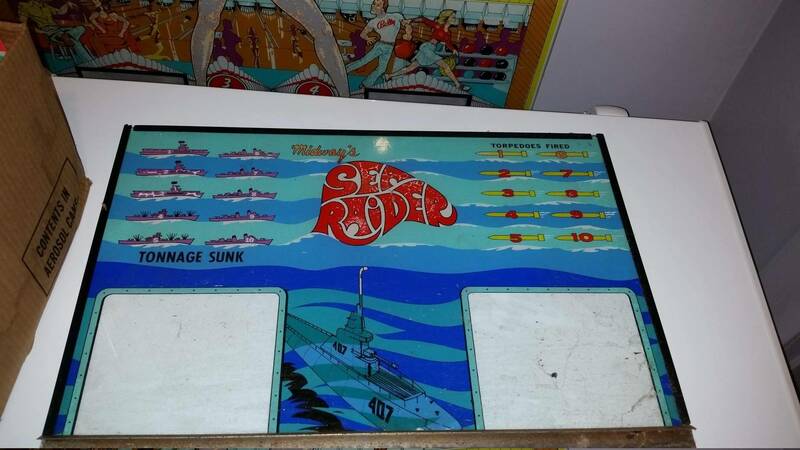 My first few games were from operators as well as purchases direct from your average Joe homeowner who had one or two collecting dust in the basement. I blame pinside for my recent spree in the past few months.